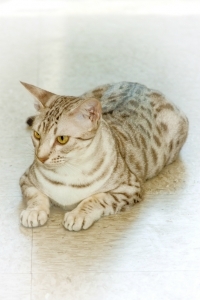 Those interested in welcoming an exotic looking cat into their home should make sure they work with an established breeder with a solid reputation. KezKatz Cattery is a Savannah, Ocicat, and Egyptian Mau cat breeder in Arkansas, and we ensure that each of our Savannah cats are registered with TICA and our Egyptian Mau and Ocicat cats are registered with CFA and TICA. 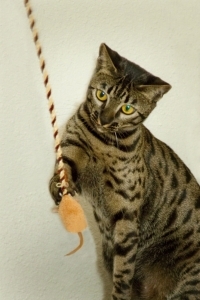 So not only can you be assured that your kitten meets breed standards, but we also put a special focus on raising kitten to have superb dispositions so that they’re able to adapt to your home quickly. 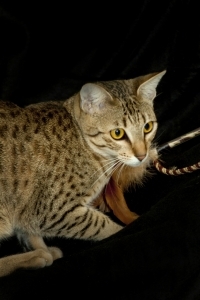 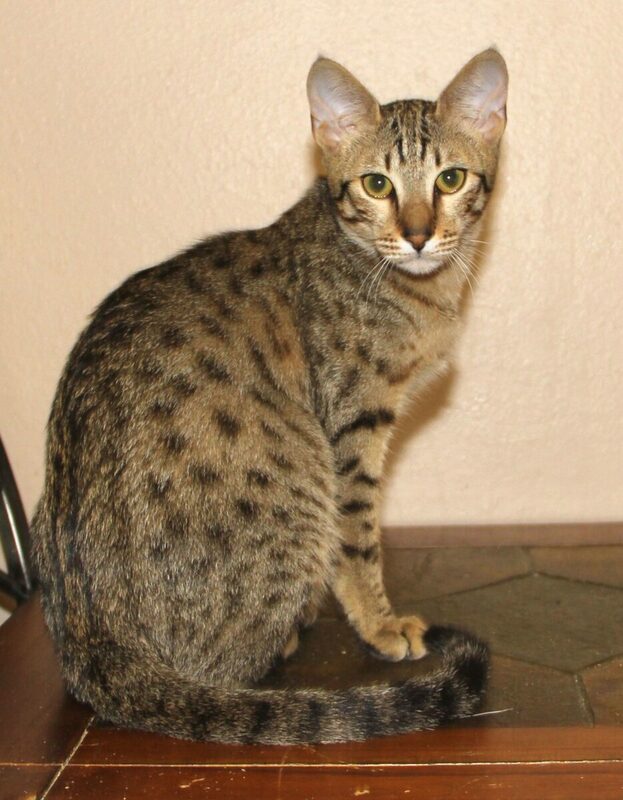 Savannah cats are one of the newest exotic cat breeds. 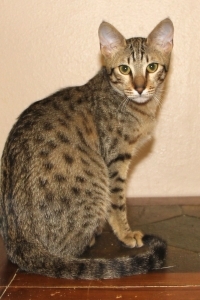 Created by crossing a domestic house cat with an African serval, Savannah cats have all the attributes of a much larger exotic cat, including long legs and bodies, and often weigh up to 20 lbs. depending on gender. 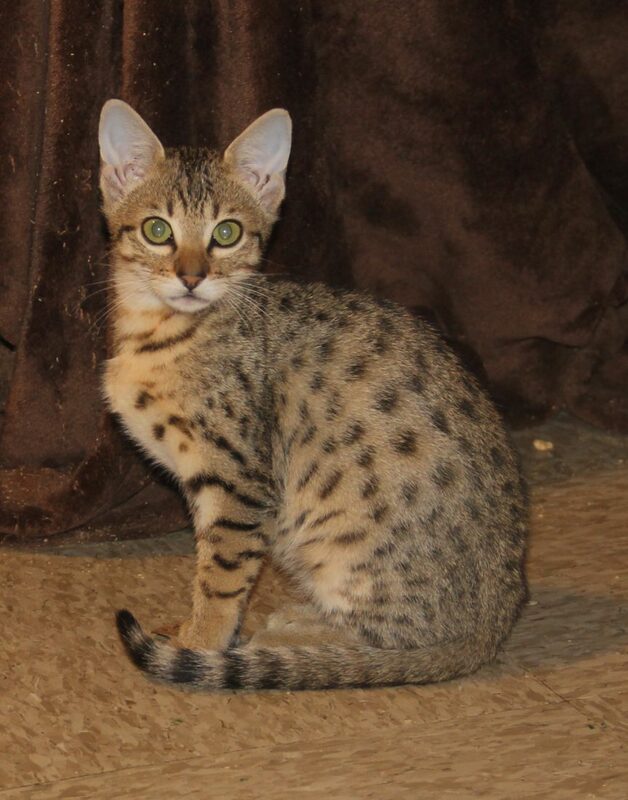 Our Savannah kittens for sale grow to be extremely intelligent, high energy cats that will love to climb, jump and be playful with respectful children and other household pets. 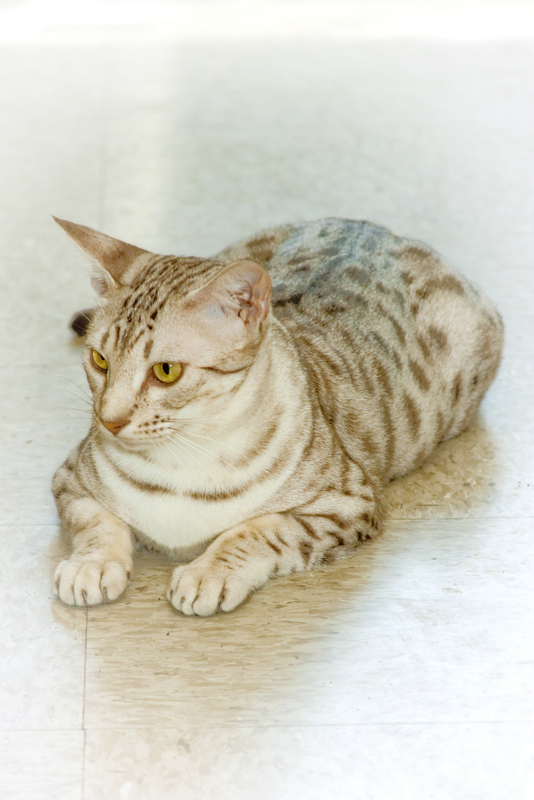 Ocicat cats were first created by interbreeding Siamese, American Shorthair, and Abyssinian cats. These cats are large and muscular and love to stay active. 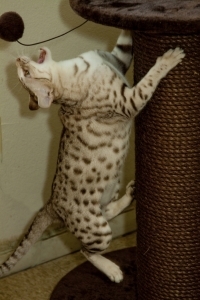 They are also the only spotted domestic breed that will actually emulate how a large cat would in the wild. While our Ocicat kittens for sale may come in a number of different colors, including black, blue chocolate, lilac cinnamon and fawn, they only come in one spotted pattern. The first thing that stands out about Egyptian Mau cats is their appearance. 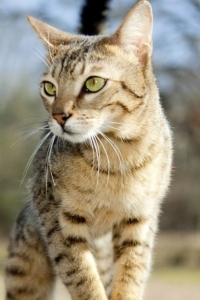 They’re the only domestic cat with natural spots, which means that they form randomly rather than in a consistent pattern across the breed. 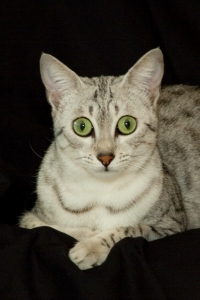 Once you bring your Egyptian Mau kitten home and they begin to warm up to their new surroundings, the next thing you’ll notice is their fierce loyalty and desire to establish a close bond with their person. 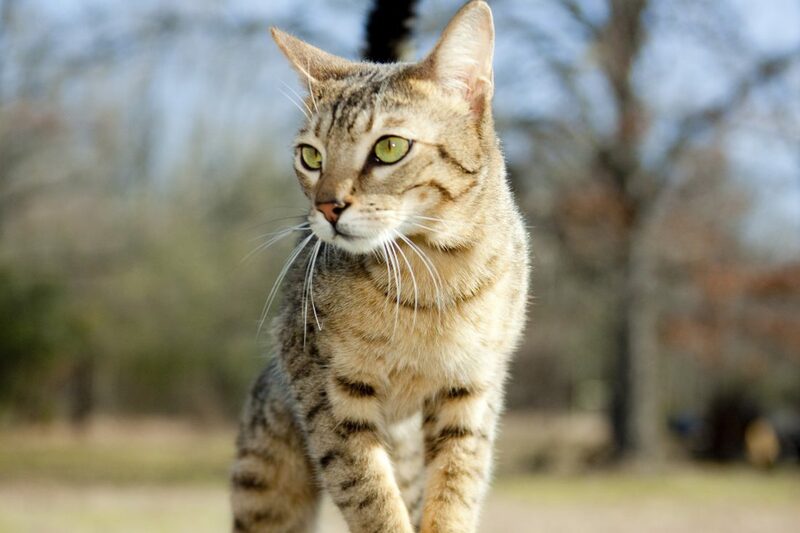 Though they are very shy and sensitive cats in nature, once they have formed that bond with you, they will be very forceful with their adoration and will vie for your attention at all times. 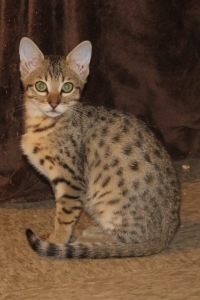 Would you like to inquire about any of our available kittens? 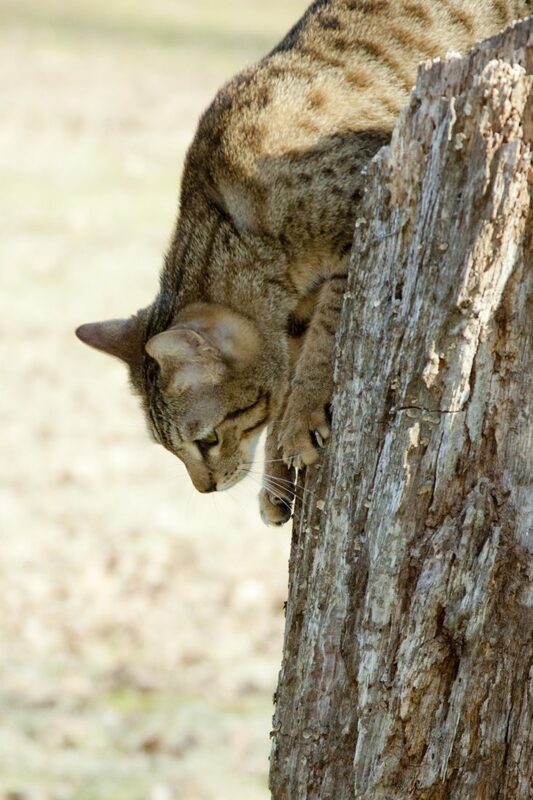 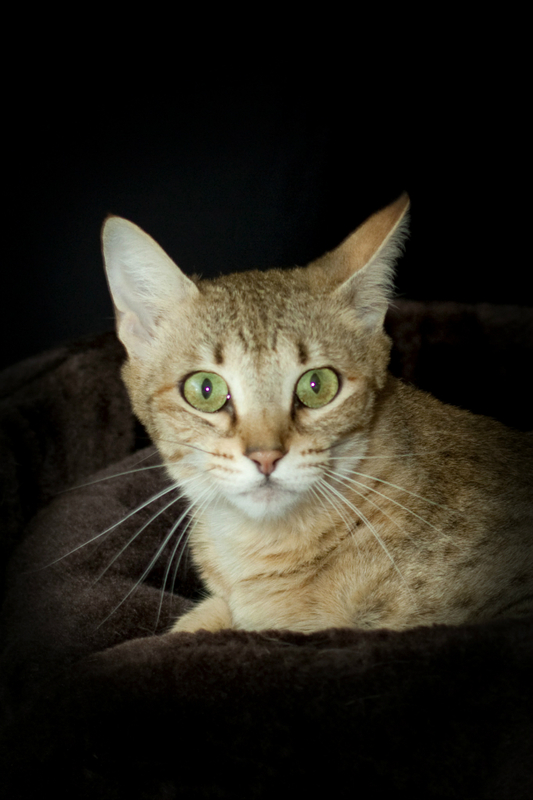 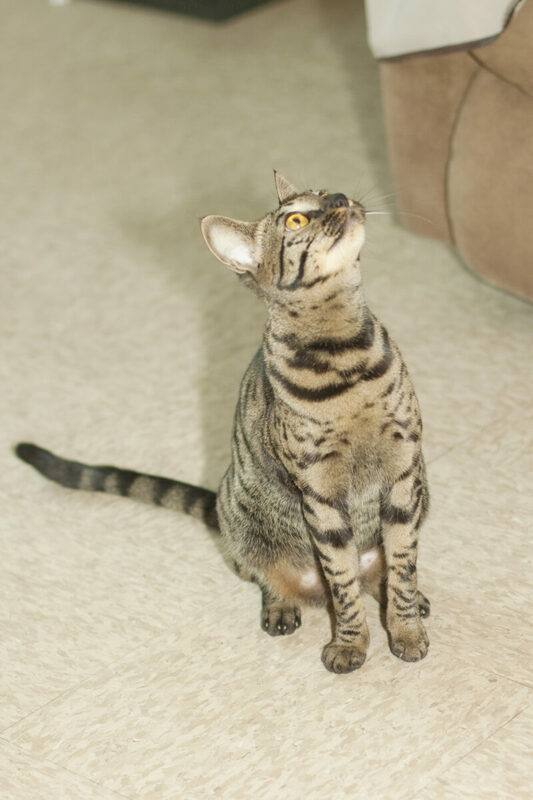 KezKatz Cattery is a Savannah, Ocicat, and Egyptian Mau cat breeder in Arkansas that can answer any questions you may have about whether an exotic cat might be right for you and your family. 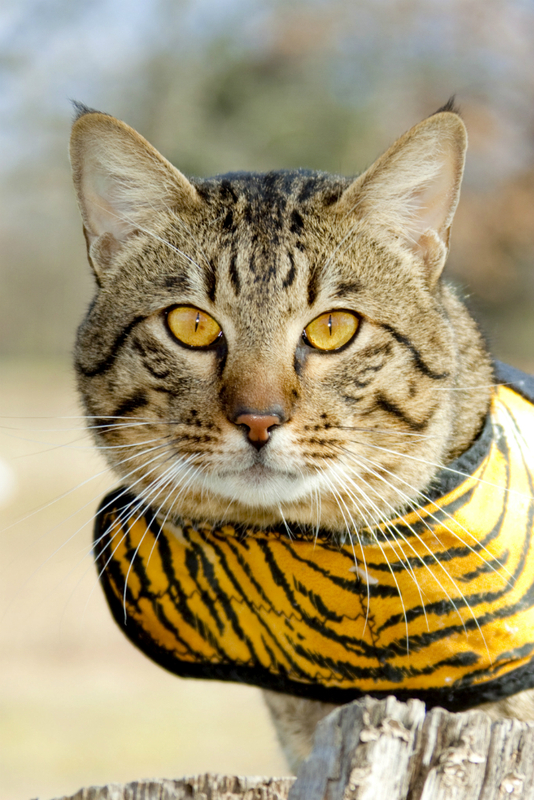 Contact us at 918-966-3404 today for more information.